Well, it’s true. The ticker is at it again and life’s a little crazed for me lately. I am back in atrial flutter, which means basically my heart rhythm is off and I can now feel my heart beating and not just hear it tick, but now both and very pronounced. Dr. Ross, my adult cardiologist, has sent me to specialists at Children’s National Medical Center, where I had my prior 3 surgeries, the last of which was October 30, 1985 almost 26 years ago. Dr. John and Dr. Burel are terrific, “top shelf” as my mom would say, and they are collaborating on how best to deal with the flutter since dealing by doing cardioversions clearly hasn’t worked. Thank you for all of your care and concern, and for reading this far, if you are! I am down for the count that week for sure. The last bit of fun I’ll have will be Art on The Avenue in Del Ray, www.artontheavenue.org. You should come! In the meantime, it’s day to day, one step at a time. It takes a lickin’ and keeps on tickin’! The Ticker is pictured here. Seeing as how it is Labor Day and essentially the end of Summer 2011, I figured it’s worth a quick recap. Here’s to a fun and less hectic Fall for all! May – I guess it’s fair to say Memorial Day weekend officially kicked off summer and it was very exciting (like ER exciting) and therefore no fun at all. 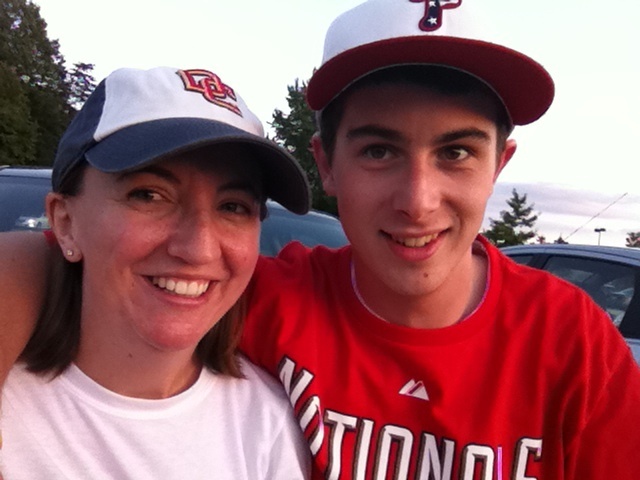 Well, taking Soren to his first Nationals game was fun, but not the five days following! June – First ever feel of Atrial Flutter. Enter TEE & Cardioversion #1.Who knew there’s a whole Arrhythmia Center in Washington Hospital Center or that I was allergic to tape & stickers of all kinds?! July – Atrial flutter returns. Second Cardioversion and even less fun since I woke up in the process and am STILL allergic to the tape & stickers. August – Enter lots of family fun! Finally! 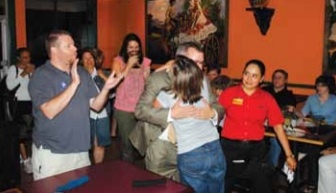 My former State Delegate, Adam P. Ebbin won the Senate Primary for the Virginia Senate and I was included in a photo with him in the local news coverage! 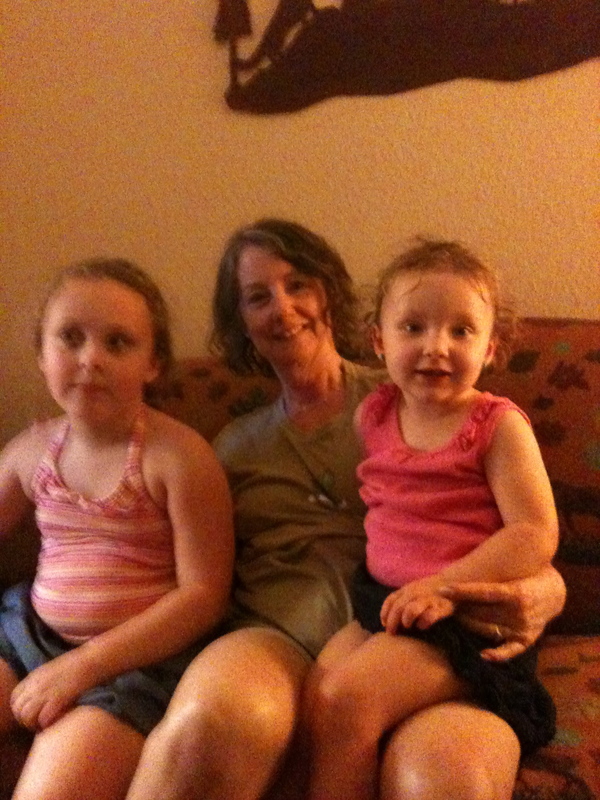 The Queen & The Girls! LES & Dan at Strasburg start! 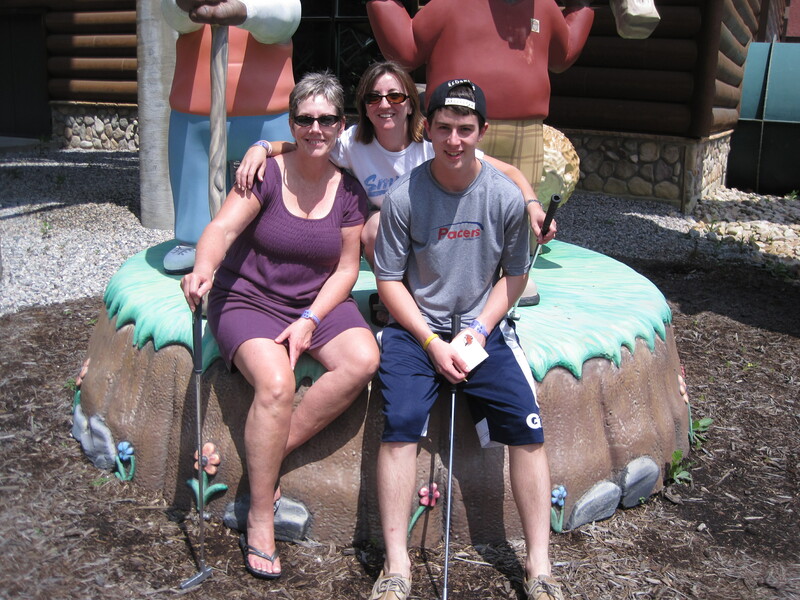 Peg LES & Dan at Putt-Putt!